The 13-time All-Star joined Dale Long and Don Mattingly as the only other two players to go on such a streak. On July 28, 1993, Ken Griffey Jr. of the Seattle Mariners hit a home run for the eighth consecutive game, tying a Major League Baseball record in a 5-1 loss to the Minnesota Twins. 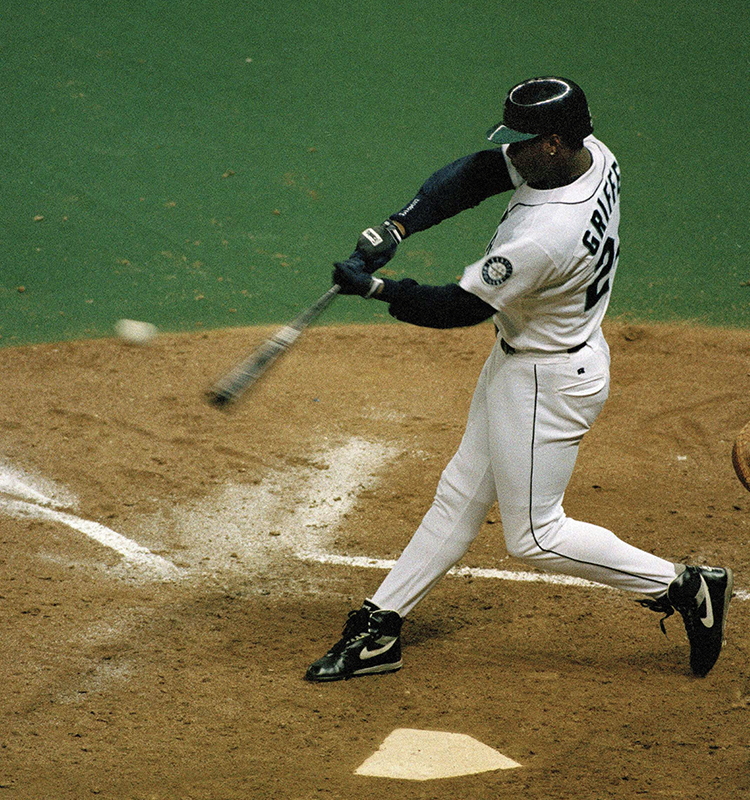 Griffey teed up a high fastball from Twins starter Willie Banks in the seventh inning, sending it 404 feet off the facing of the Kingdome’s third deck in right field. Ken Griffey Jr. of the Seattle Mariners drops his bat after belting a seventh-inning homer in Seattle during a game against the Minnesota Twins on July 28, 1993. Banks, who had given up two hits to that point, was working on his first career shutout. Griffey, on the other hand, added to his league-leading home run count (30). The home run cut Minnesota’s lead to 4-1. The four-time All-Star tied the record for consecutive games with a home run set by Pittsburgh Pirate Dale Long in 1956 and New York Yankee Don Mattingly in 1987. The 30,813 spectators gave Griffey not one, but two standing ovations, one of which lasted three minutes, the Associated Press reported. After Griffey crossed home plate and made his way to the Seattle dugout, his teammates and coaches greeted him with handshakes. In the first inning, Griffey struck out against Banks, and in the fourth, Banks got the center fielder to ground out to first base. Ken Griffey Jr. of the Seattle Mariners during a game against the Minnesota Twins, July 29, 1993. The streak began in the eighth inning of the Mariners’ game against the Yankees in the Bronx, with Paul Gibson giving up the first home run. The next few victims were the Yankees’ Jimmy Key, and Cleveland’s Jeff Mutis, Albie Lopez, Matt Young and Jose Mesa. Minnesota’s Kevin Tapani gave up home run No. 7, a grand slam. “We lost a ballgame, but I’m certainly very happy for Junior,” Mariners manager Lou Piniella told the Post. “It’s only happened three times in the history of baseball. It’s quite an accomplishment for an outstanding young player. 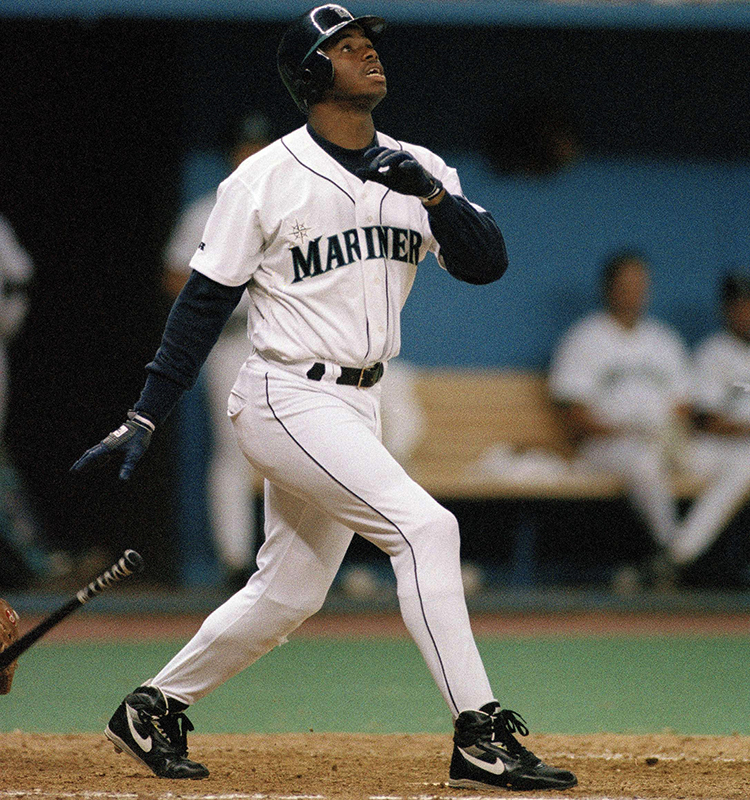 Griffey was unable to keep the streak going the following night against the Twins. He had a single, double and grounded out against starter Scott Erickson, and popped out against reliever Larry Casian in the 4-3 victory. Griffey talked to the media once the streak ended.